Cast Glass Images, Inc. is the leader in architectural glass, decorative glass and specialty glass fabrication. We also provide plain glass, and standard or custom fabricated hardware for your applications. We work with architects, interior designers, contractors and homeowners to create exceptional designs as well as provide a vast assortment of product offerings that range from Countertops, Bars, Gates, Garage Doors, Awnings, Skylights, Kitchen or Bathroom Backsplashes, Doors, Lighting, Mirrors, Room Partitions, Sculptures, Signs, Awards, Shower Doors, Shower Enclosures, Sinks, Stairs, Flooring, Guardrails, Tables and Windows. Integrating decorative cast glass or plain glass into your project provides a unique, creative-edge to your home or space. Xtreme Glass Specializes In Custom heavy Shower And Bath Enclosures ,Wardrobe doors,Shower Enclosures,Glass Railing, Mirrored Walls, Retro Windows, Custom Sandblasting. We specialize in glass shower enclosures, all enclosure come with a 3-year installation warranty & a lifetime warranty on all hardware. We are a locally owned and operated company, that values honesty, integrity and treats your home as if it were our own. We specialize in vinyl replacement windows, heavy glass shower enclosures and custom mirrors. Our services are customized to the individual project, paying close attention to the details of each project that we are involved with. We look forward to building long-term relationships with our clients and fellow contractors. Community Glass & Mirror Co. is a fully licensed and insured glass contractor that provides high quality glass and mirror services in North San Diego County at cost-effective prices. Our services include window repair, replacement, and retrofitting; glass door sales, installation, and repair; glass railing/fencing sales, installation, and repair; commercial storefront window repair, replacement, and installation; shower door/enclosure sales, installation, replacement, and repair; and emergency board-up services for broken windows and glass doors. Additionally we can custom design and fabricate all types of mirrors. Call today for a free estimate. As a testament to the quality of our materials, craftsmanship, and customer service, we have thousands of satisfied customers and guarantee all of our work. We offer the best price for quality repairs and installations of all types of interior and exterior sliding doors including patio doors, sliding french doors, pocket doors, closet doors, bathroom doors, and shower or tub enclosures. If you are building a custom home, we offer the highest quality luxury sliding door products to make your new home a showcase. If you are remodeling your home, we offer replacement patio doors, closet doors, screen doors, pocket doors, custom shower & tub enclosures and more. Retractable Screens in Southern California All Seasons Retractable Screens is an industry-leading manufacturer of retractable screen doors and shades. Founded in 1995, All Seasons Retractable Screens is located in San Marcos, California. Our goal at All Seasons Retractable Screens is to provide our customers with the highest quality product and the highest level of customer service. We invite you to open your doors, sit back and enjoy a nice fresh breeze with your new retractable screen. You can be assured that the All Seasons Retractable Screens products are the finest on the market, and will provide you years of trouble free enjoyment. Straight Edge Glass & Mirror is a professional glass company with over 15 years of experience. Our services include custom frameless shower units, shower enclosures, custom glass, mirrors, glass table tops, wardrobe doors, window repair and so much more. We are a licensed state contractor, bonded and insured. Straight Edge Glass & Mirror guarantees 100% customer satisfaction. Straight Edge Glass & Mirror takes pride in offering a unique 'One Stop Shop' approach to your frameless shower and mirror needs. Straight Edge Glass & Mirror has the expertise and resources to help you build your dreams! From the initial visit, to picking out the final touches, we are there every step of the way. No job is too big or small! What can a local Bonita glass company help me with? If it’s a major home glass repair or replacement, the Bonita glass company should work directly with your insurance company to help bring down costs for you, if applicable. 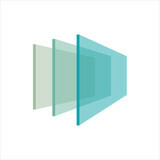 Find Bonita glass companies on Houzz. Narrow your search in the Professionals section of the website to local glass, mirror and shower door services in Bonita, CA and read reviews and ratings to find one that fits your needs.